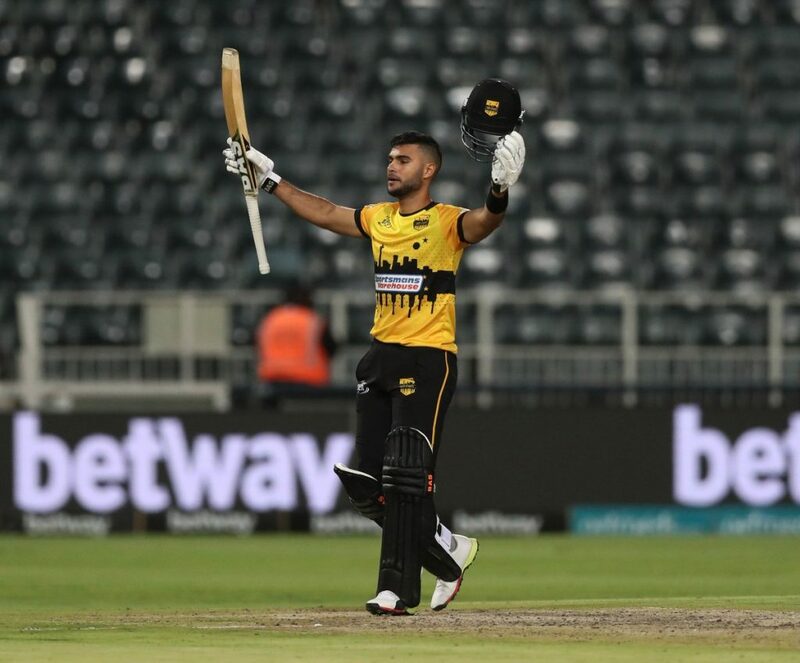 Reeza Hendricks continued his rich vein of form with the bat as he powered Jozi Stars to a comfortable 50 run bonus point victory over Cape Town Blitz on Tuesday. The 29 year old’s introduction into the team has coincided with the Stars’ revival and after centuries in his previous two games, the Proteas star scored 79 (48) to collect his third consecutive Man of the Match award and condemn the Blitz to their first home loss of the tournament. After winning the toss and electing to bat, the Stars started slowly and suffered an early setback when Chris Gayle fell to a spectacular catch by Blitz skipper Farhaan Behardien off the bowling of Nandre Burger. Gayle, making his return to the MSL after a stint in the T10 league, could only make six runs. After five overs, the Stars were 20/1, but the sixth over, bowled by Andile Phehlukwayo saw Hendricks tee off. The 19 run over nearly doubled the Stars’ score, and allowed Hendricks and van der Dussen to settle in. The duo added 120 runs for the second wicket, before Hendricks fell to Siboto for a fantastic 79, holing out to Quinton de Kock at long on. Dale Steyn’s third over was an interesting one for the statistically inclined, with the Stars taking a single, a two, a three, a four and also a six- all in the same over. The fiery pacer accounted for Van der Dussen- his only wicket of the game, leaving the visitors at 144/3. But the Stars’ middle order capitalised on the platform given to them by Hendricks and Van der Dussen, with Dan Christian, Pite van Bijlon and Dane Vilas all scoring quickfire cameos to help them post a mammoth score of 196/4 in their 20 overs. They were particularly severe on Malusi Siboto, whose final over went for 25, with Van Bijlon and Vilas scoring three sixes and a four. Nandre Burger was CT Blitz’s best bowler with figures of 2/32. Chasing a target of 196 runs, the Blitz opening pair of Quinton De Kock and Janneman Malan got their team off to a solid start, as they added 35 runs for the opening stand, mostly thanks to some fantastic shots from in the in-form Malan. De Kock managed only 9 from 15 deliveries before holing out in the deep, caught by Pongolo off Hendricks. Both Dawid Malan and Farhaan Behardien scored run a ball 14’s, before the former fell to Christian and the latter to Duanne Olivier. Australian all rounder Christian then tore through the Blitz batting order, accounting for Janneman Malan, Andile Phehlukwayo and Mohammad Nawaz and finishing with impressive figures of 4/22 in his 4 overs. Kyle Verreynne tried to delay the inevitable with some a quickfire 25 (11), but like Behardien, he too fell to an Olivier bouncer. Olivier also accounted for Steyn with a superb yorker, and the Blitz were put out of their misery when Sibuto’s attempted reverse sweep failed to come off, ending in an easy catch for Vilas. With the Blitz being bundled out for 146 runs in 19.4 overs, this was a bonus point win for the Stars, and the victory took them to second in the league table. The next MSL match will be played between Tshwane Spartans and Paarl Rocks at Centurion on Wednesday.